I have seen older bucks develop a Roman nose before but not like this one. His teeth showed 8+ yrs old. Almost looks like it could be some kind of skeletal defect. Pics really don't do it justice. Anyone seen this before. 1. He broke it somehow. That's how it healed. 2. Sometimes, they get Calcium build ups there. 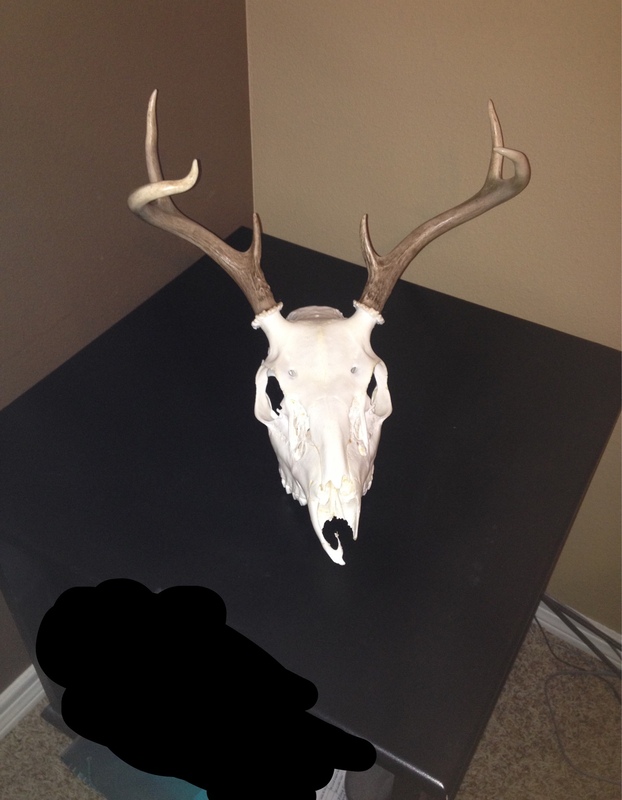 I've got a Roman nosed buck that had this. You'll know when you take all the skin and meat off the head. Side Note: Look at those front knee joints. I assume you photo-shopped his cane/walker out of the picture? Last edited by SB09; 12-21-2015 at 09:23 AM. 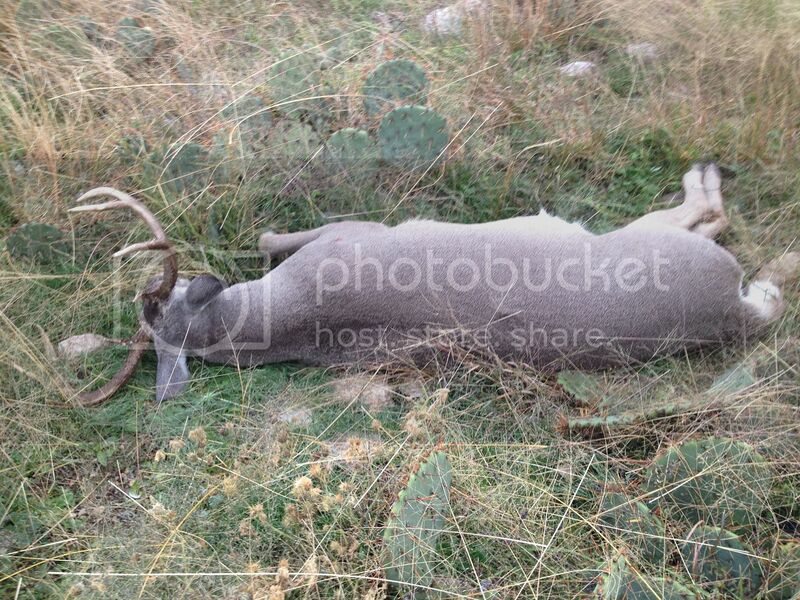 Hunt In: Edwards co., Bell co., Coryell co., Lampassas co., any anywhere else i can. Probably broke it fighting and that's how it heeled. I saw a spike this weekend that had this. He must of run into a fence is my guess. 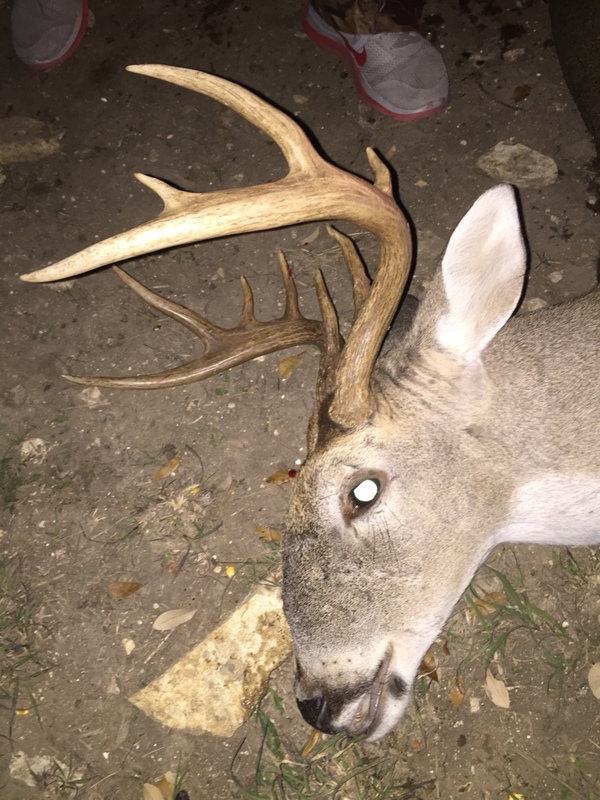 This is a 6.5 yr old 200 pounder I killed at our west Texas lease...... Taxidermist said he had broken his fight possibly a couple of times. Looks like he ran into Iron Mike Tyson!!! I have one on camera. Had a doe on our place several years ago that looked worse. I shot a doe that looked like that last year. I'm assuming they broke it and thats how it healed up. What did his knees look like? We have one on camera that we believe is very old with an obvious Roman nose like yours and his knees look like there's a tennis ball under the skin. Looks like an old man limping around as he walks. 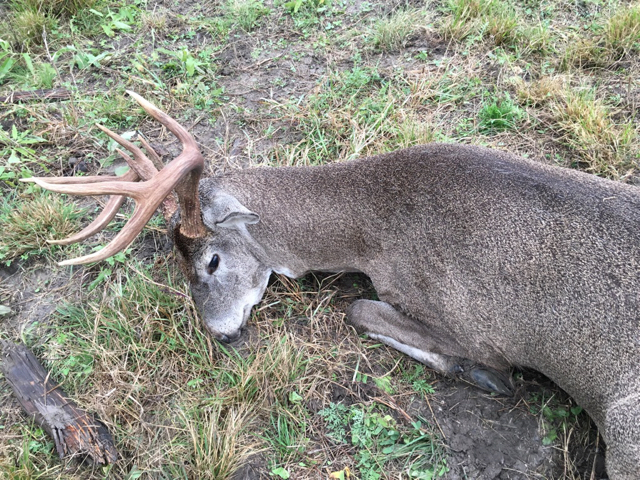 His antlers have really gone down hill this year, only a 10"+/- spread 6pt but pretty good mass. Last year he had a bunch of non-typical points but broke everything off except 2stumps by November 1. My nose looks like that, after being broken 3 times. Just pulled my game card. 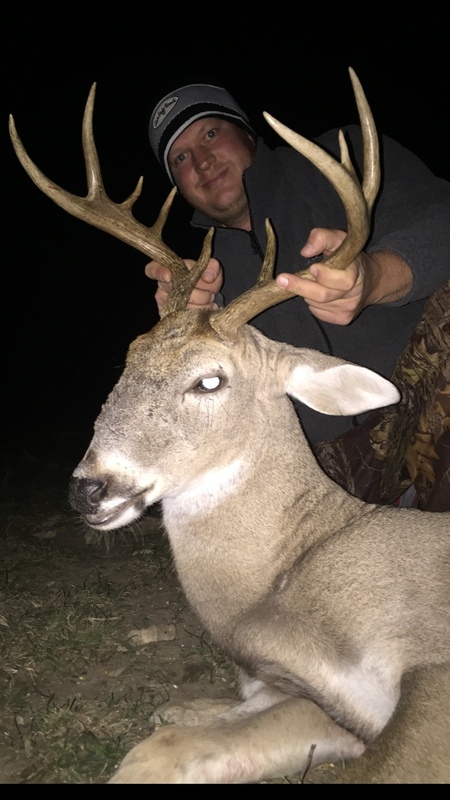 Im gonna say by the broken brow tine and main beam this dude has a broken nose. Apparently he's not afraid to get it on. 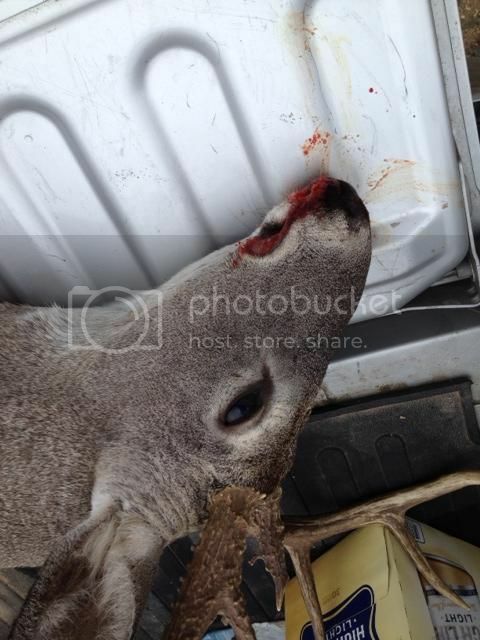 Isn't the cause of a "roman nose" fighting, no matter how old the deer is. Constant battering in a fight.....be careful Rhonda Rousey need to block those punches and kicks to the nose. 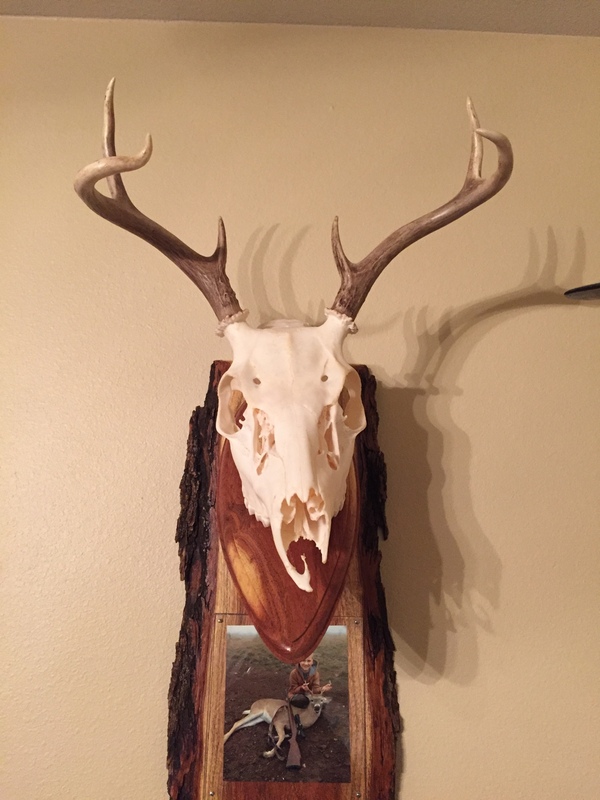 The old deer I killed this year (named "old man") had a very unique nose also. I watched him from 3 1/2 to 5 1/2 and it was always like this so I am not sure what happened to it. There is a doe at my lease that looks a lot like that. Nothing wrong with her, just looks different than all the other kids. 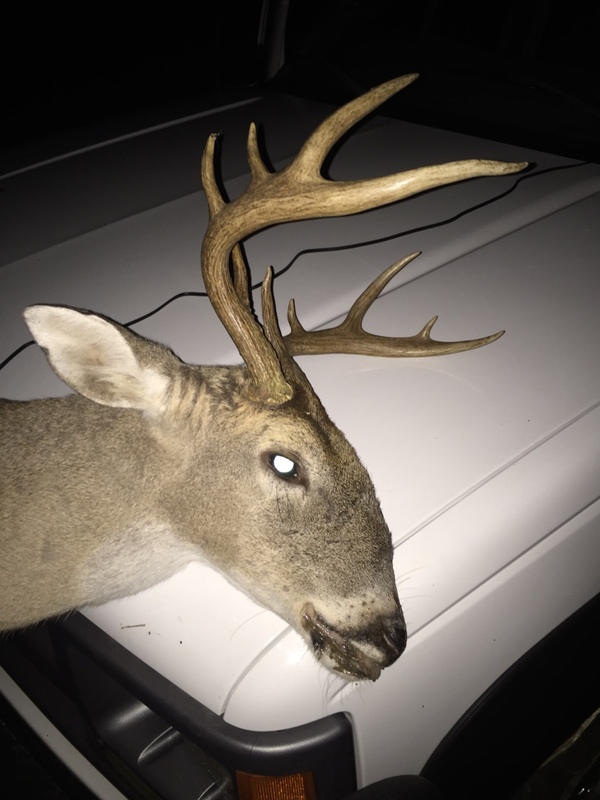 My oldest boy shot a small buck last year that had a funny looking nose. After I had a European done for him you can see the bone structure of his nose is weird and missing pieces. Last edited by txstringbender; 01-18-2016 at 12:15 PM. Last edited by TxAg; 01-18-2016 at 12:11 PM. Oops. If anything weird happens I'm gonna come looking for you. Hahahaha never noticed that in that picture. I think this one ran into a wall before I shot him. I'm looking forward to seeing the euro on this one. Not sure how this little guy made it as long as he did. Fella that shot him nicknamed him "Potato".